Repetitive stress injuries can create long term pain. Working with a medical professional to manage your pain, while at the same time heal your condition, is the goal when dealing with repetitive strain injuries. It is important to work with someone experienced in treating repetitive strain injuries to get the best results. Only treating the pain will not allow the injury to heal, and can lead to additional health issues, such as irreversible damage to the affected area and a reliance on pain medication. Instead, the pain is addressed, while the cause is also determined, and exercises are provided to strengthen the affected area. We use a combination of therapies to get immediate as well as long term results. Repetitive stress injuries develop when your work or hobby requires you to perform the same physical movement over and over. This can eventually lead to damage to the nerves, muscles, tendons, and soft tissue of the affected area. Carpal tunnel syndrome is a common repetitive strain injury, but anyone from typists to warehouse workers can develop repetitive strain injuries. The most common areas affected by these injuries are hands, fingers, shoulders, arms, wrists, elbows, back, and neck. The symptoms of repetitive strain injuries are usually contained to the affected area. They include tingling, swelling, numbness, weakness, and stiffness in the area. You may also become clumsy with the affected joint and notice a loss of coordination. Pain may be severe enough to wake you up at night. The affected body part may also be sensitive to the heat or cold. There are a variety of ways to treat repetitive strain injuries. Typically, a combination of treatments is used to help the patient obtain best results. Medications are often the first line of defense to manage pain. Non-steroidal anti-inflammatory medications often provide pain relief for repetitive strain injuries, but they aren’t the only choice. Your physician will work with you to manage your medication to provide an individualized plan for pain relief, while minimizing side effects and risks. Another form of treatment for repetitive strain injuries is physiotherapy. This is a form of physical rehabilitation treatment which encourages mobility and increases function. It uses movement and mechanical force to strengthen the affected area and help it return to its previous condition. 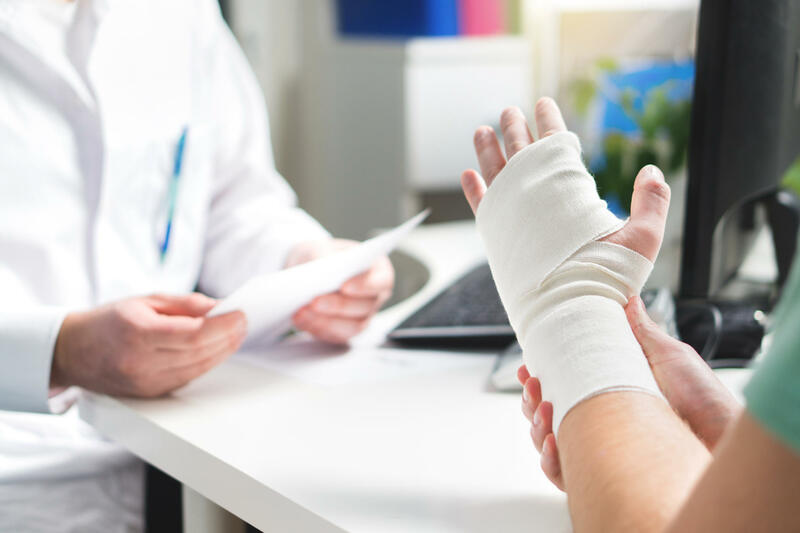 Your medical professional will work with you to develop a plan to keep you healthy as the repetitive strain injury heals. Initially, you will need to completely stop the activity that led to the injury. Once you can return to the activity, you will work with your doctor to ensure you are using proper posture and form. You may be prescribed a brace or other support materials. They can also make recommendations for you to optimize your work space in a way that minimizes the likelihood of a return of your injury. Contact Allied Pain & Spine Institute today to schedule an appointment to get they help you need from repetitive strain injuries.